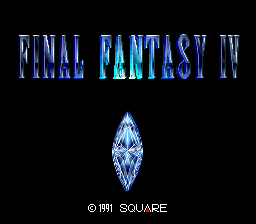 Final Fantasy IV is a role playing game for the Super Nintendo. 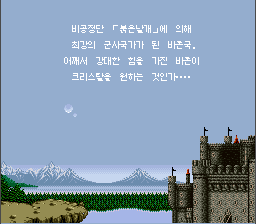 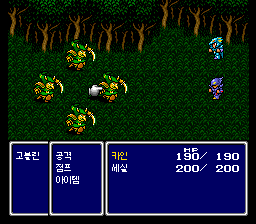 This is a Korean translation of the original Japanese version of Final Fantasy IV for the SNES. 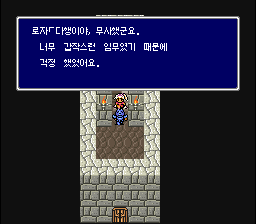 This is a translation patch from Team Redwing, which started at January, 2001 and saw the light after 4 years. 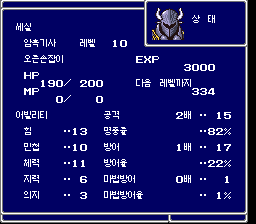 With hacking of font codes, they managed to expand the table for 8 x 8 size font.